Vaarwel has been a busy, busy man since forming Frozen Ocean in 2005, serving as the sole member of this shape shifting project. 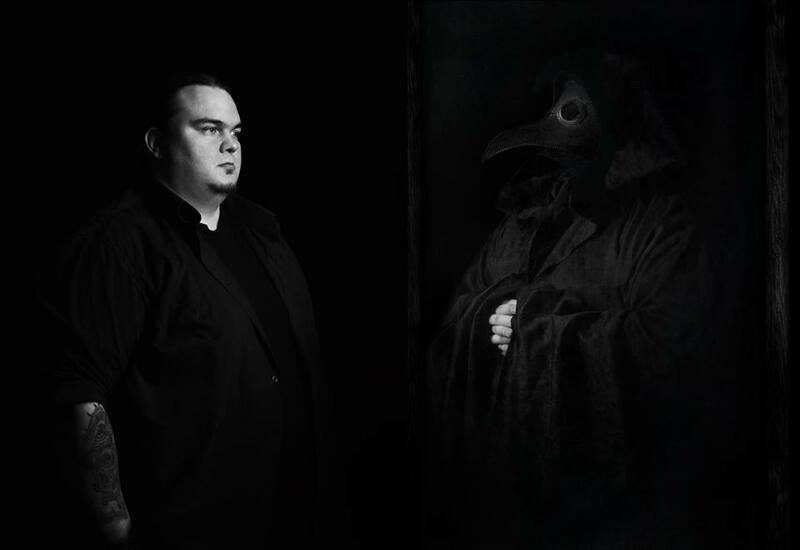 The band has touched upon raw black metal, electronic music, ambient, drone and atmospheric black metal, among other things. The only thing I’ve come to expect from Frozen Ocean over the years is to not really expect anything, because Vaarwel is usually full of surprises. 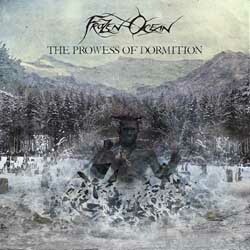 Frozen Ocean’s first release of 2016, The Prowess of Dormition, is a four track EP which sees the project returning to an atmospheric black metal sound. Despite being a return to form of sorts, after 2015’s Prills of Remembrance, which was downtempo triphop, and 2014’s Weighing Form, which was a mixture of noise, drone and ambient, The Prowess of Dormition doesn’t forget about everything that happened before it. While it’s true that most of the album features cold trem riffing and sweeping atmospheric backgrounds, there are moments where subtle electronics force their way to forefront or pulsing rhythms take charge. It adds a certain element of surprise that’s not often found in atmospheric black metal. The band offers a full bodied sound while deploying a varied songwriting approach. Rather than focusing on nothing but fiery trem riffing, Frozen Ocean delivers a barrage of chunky backing riffs while the leads bring cycling trem picking, offering cold, underlying melodies. Vaarwel’s vocals are distorted, deep and raspy growls, syncing up quite well with the trem riffing. The programmed percussion offers some interesting movements, rather than just blasting along for eternity, but it sounds pretty damn good as far as programming goes. The Prowess of Dormition sees Frozen Ocean at their strongest, with memorable harmonies forged over the atmospheric black metal base. Hopefully the band’s recent deal with Apocalyptic Witchcraft will see Frozen Ocean reaching a wider audience. I really like where the band is going on this release, but who knows if Vaarwel will continue down this path for a bit or if he will pull another card out of sleeve. I guess that’s the way of Frozen Ocean; you never know what you’re in store for. This entry was posted in Reviews and tagged Apocalyptic Witchcraft Recordings, atmospheric black metal, black metal, Frozen Ocean, russia, The Prowess of Dormition.